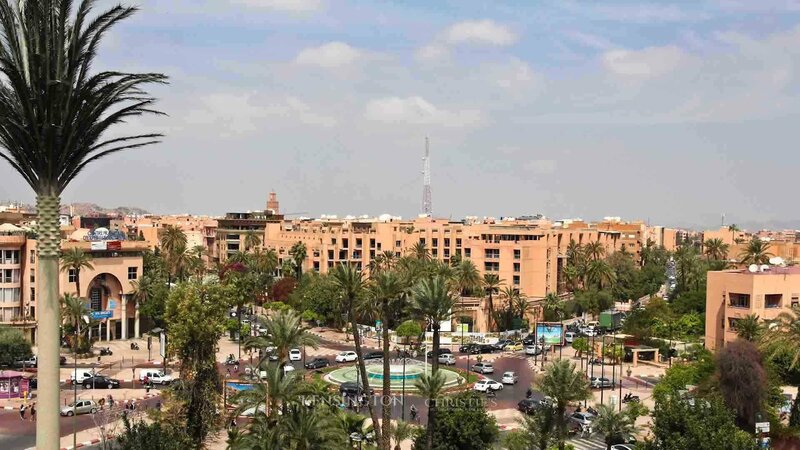 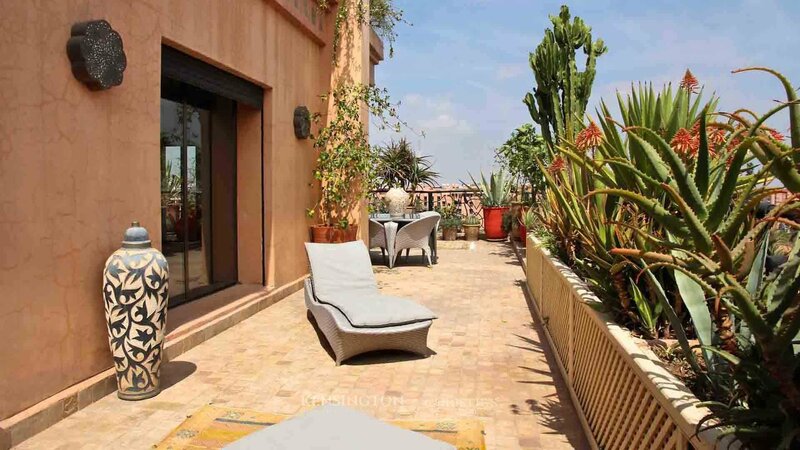 Located on one of the main boulevards of downtown Marrakech and close to all shops, apartment Azha is a gem at the border of the Gueliz and Hivernage neighborhoods. 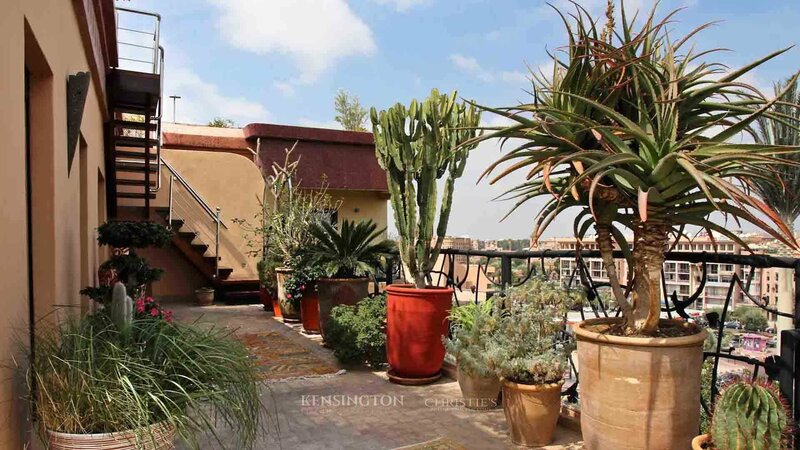 This large triplex consists of 3 bedrooms - one bedroom on the ground floor and two upstairs -, large living room, dining room with fireplace and a fully equipped kitchen. 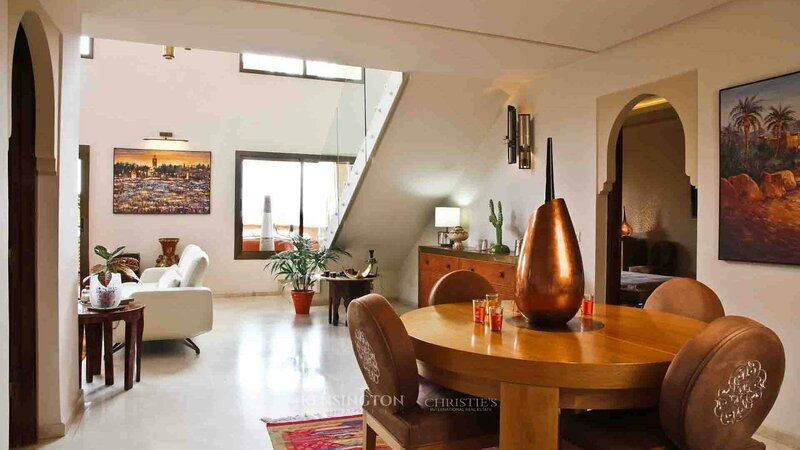 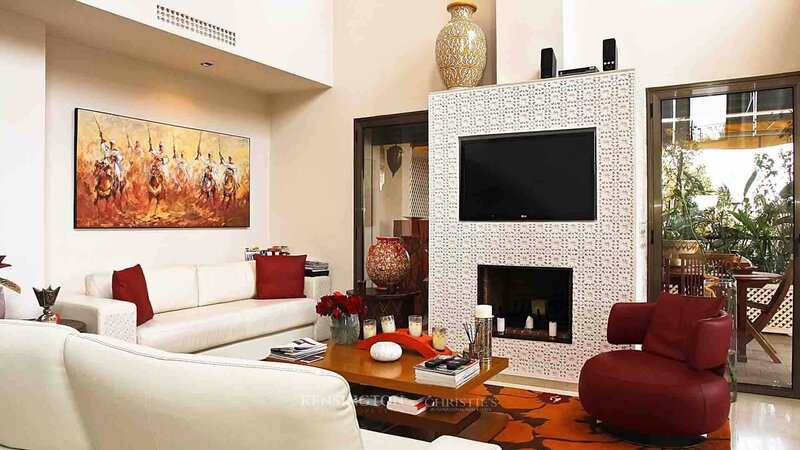 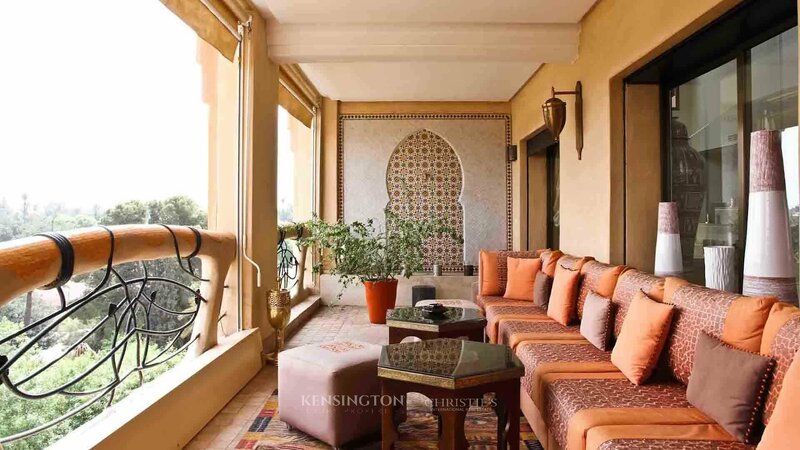 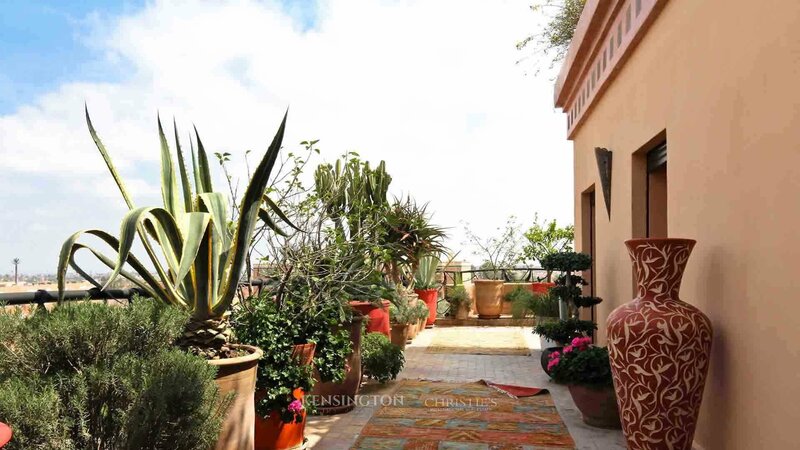 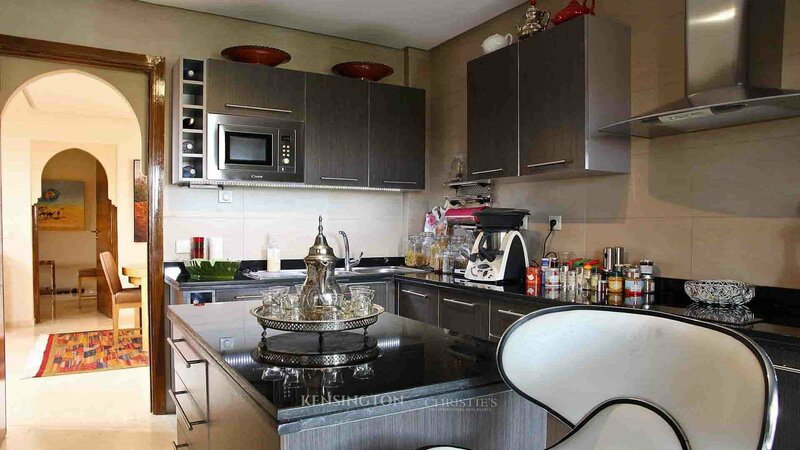 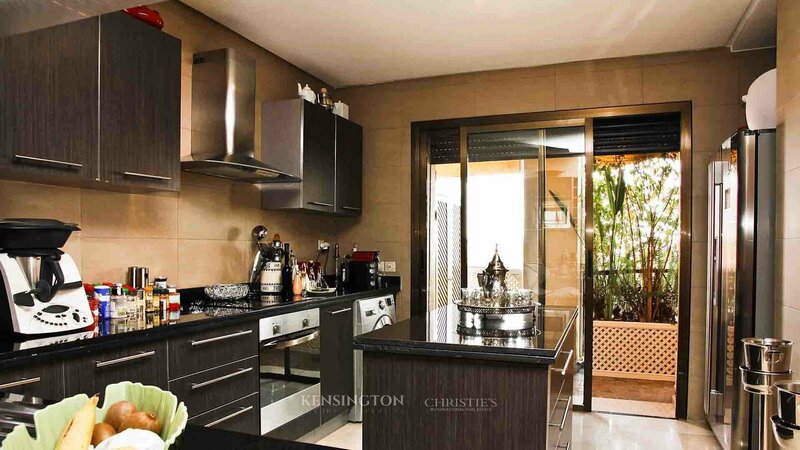 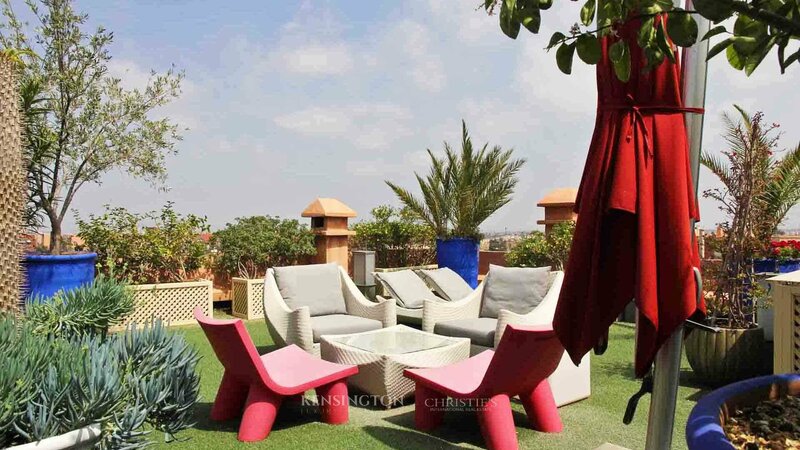 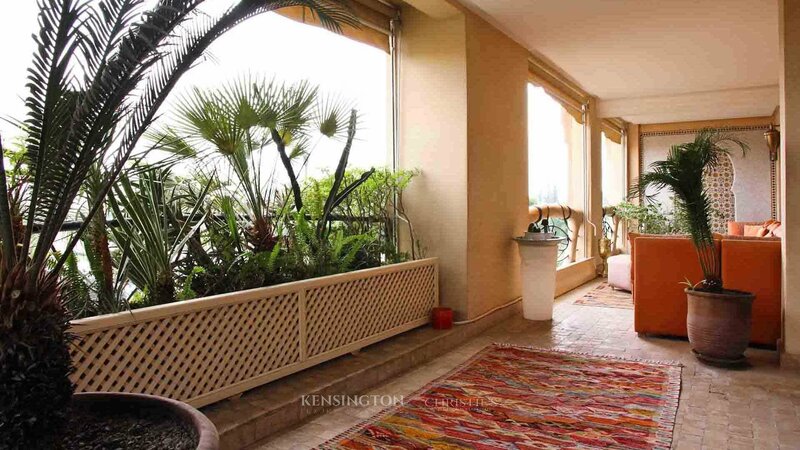 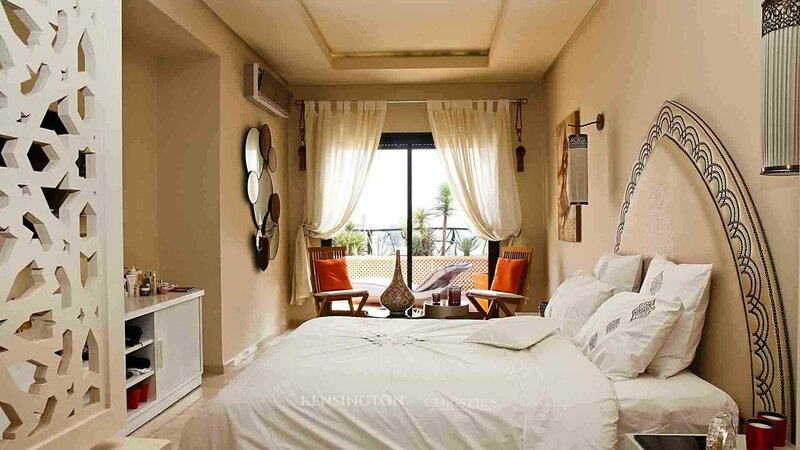 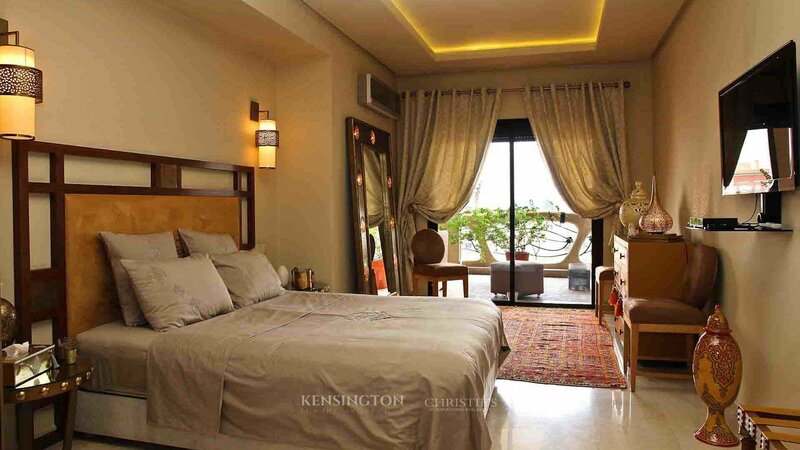 Very bright and spacious, this modern styled apartment offers a breathtaking view of the city and the Koutoubia with its 3 terraces including one on the roof of 90 sq.m.